Who isn't always in search for the perfect burger. Especially in this city where we have to scrounge around and pick up whatever fallen change we get. Now I am not talking about a spicy chicken, or Maharaja Mac. I am referring to a thick juicy beef patty with works on it..! And the works for me must always include bacon and cheese.. the burger we ordered came with some extra goodies. 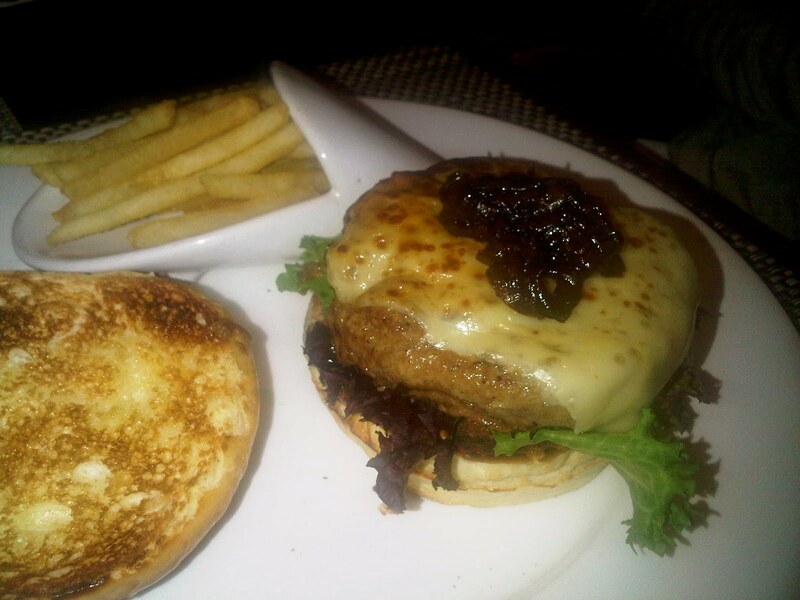 Fried egg, Gruyere Cheese and Onion Marmalade. The meat they claim was veal, which was quite the welcome surprise in a city of chicken burgers.. or the best you'd get is buffalo. And I would have been happy enough to find a regular beef burger but veal? Nice! The sesame bun could have been better but it would do. Without the egg and bacon for a friend. 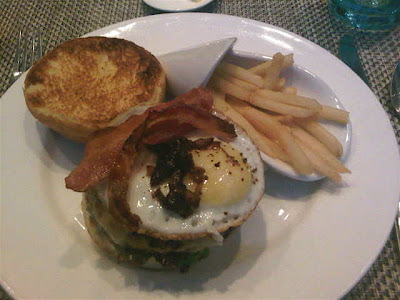 So far this is my favourite burger in the city . 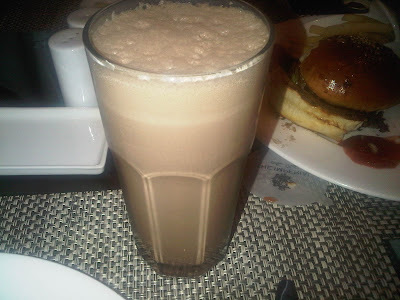 Chocolate Milk Shake - What better companion to a burger than a shake or a float. Sadly the shake was just not as cool as the burger and they had to break up. In other words skip the choc shake. Sweet Hershey's syrup like. Not rich and chocolaty enough. Budget - Expensive - It is the Imperial Hotel after all.